Not to be confused with Mumbai City FC. Mumbai Football Club is a former Indian professional football club based in Mumbai, the capital city of Maharashtra state of India. Mumbai FC was founded in 2007 with the objective of providing a platform for the young aspiring footballers from the city to showcase their talent and to try to make it to the big stage. The club gained promotion to the I-League in 2008, and finished 7th in their maiden I-League campaign in 2008–09 season. Mumbai FC have a local rivalry with another Mumbai-based club Air India and state rivalry with Pune dubbed as the 'Maha' derby as both clubs play in the state of Maharashtra. 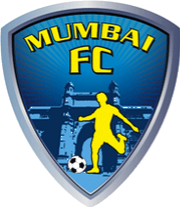 Mumbai FC was officially founded at a grand launch in Mumbai on 27 June 2007. The club was created to provide Indian football another non-institutional club and to provide young aspiring footballers in the city a chance to show off their skills on a proper platform. Mumbai FC then set about their goals in which they wanted to build a strong first team, build a good youth development program which would serve as the platform in the ladder to the first-team for potential youngsters, build a good football culture in Mumbai, and develop the football infrastructure in Mumbai. The club started building their team straight away with the signing of Englishmen David Booth. The team then started making some major signings in Indian internationals Abhishek Yadav, Khalid Jamil, Noel Wilson, and Kalyan Chaubey along with potential youngsters Dane Pereira and Darren Caldeira. The team then added their first round of foreign players Felix Aboagye and James Dissiramah. The club then began their grassroots project in November 2007 with Aqueel Ansari being the head coach. Mumbai FC then participated in their first tournament, the Mumbai Football League Elite Division in 2007. Mumbai FC lost their match in the Mumbai Football League to RCF 2–1 with Dane Pereira scoring the first goal. Mumbai FC then won the first match in their history against Bengal Mumbai; in their second match, won 7–0 with Abhishek Yadav scoring four goals. The club then won their first-ever championship, the Abhijit Kadam Memorial Cup, in which Mumbai defeated then I-League club Vasco. The club then finished in second place in the Mumbai Football League Elite Division behind I-League club Mahindra United. The club played in their first national competition in 2008 when they participated in the 2008 I-League 2nd Division. The club were placed in Group B with Mohammedan, Indian Bank, Amity United, Oil India, and New Delhi Heroes. The club won their first four matches in their group, only losing the final match of the group stage against Mohammedan which did not matter as the club was already qualified for the Final Round. The club won their first match of the Final Round which was a revenge match against Mohammedan. The club then played local rivals Pune for the first time in their history and thus started the Maha Derby (however the match was on neutral territory) with Mumbai winning the match. The club then drew against Vasco which was followed by a two-goal victory over Indian Bank. The club then officially secured promotion to the I-League when the defeated Chirag United despite being a man-down. The club played their first season in the I-League during the 2008–09 I-League season. The club played their first ever I-League match against historic club Mohun Bagan on 27 September 2008 in which Abel Hammond scored the first ever I-League goal for Mumbai FC as Mumbai went on to win 2–1 at the Barasat Stadium. Mumbai then completed a double against the two giant Kolkata clubs after they defeated East Bengal at the Salt Lake Stadium 1–0 with Felix Aboagye scoring the only goal. Mumbai then played their first ever home match in their history at the Cooperage Ground on 11 October 2008 with Kalia Kulothungan scoring the only goal in the match. Halfway through the season Mumbai was placed in sixth place in the table. The club however did finished in 7th place which currently remains their best position to date. Khalid is the longest running manager in the I-league currently. He has managed Mumbai since 2009. Mumbai FC acquired foreigners in Josimar, Chika Wali & Taisuke Matsugae. The squad consisted of a strong base of Mumbai-based players like Dane Pereira, Ashutosh Mehta, Jayesh Rane, John Coutinho, Rahul Bheke, Collin Abranches, Abhishek Yadav, Rohit Mirza, Cletus Paul, Allan Dias and Paresh Shivalkar. The team captain is Climax Lawrence and vice-captain is Nidhin Lal. The club started the season in the best possible form blowing away all teams and building an unassailable lead in the MDFA Elite League. Nine wins in nine games having scored 37 goals and conceding only 4. The biggest victory was their latest game in the League which was an 8–0 win over Maharashtra State Police. Josimar is the highest goalscorer with 11 goals in the eight games he has played. Mumbai failed to carry the momentum in the Federation Cup as they got knocked out in the Group stage itself. The club were pit in Group A alongside Dempo SC, East Bengal, Sporting Clube de Goa and Royal Wahingdoh. All group stage games were played at Fatorda Stadium, Goa. The team lost their first game 2–1 against newbies Royal Wahingdoh with Josimar scoring the consolation goal in the game. A solitary Samapth Kutty Mani goal in the 1–0 win against Sporting Goa gave Mumbai a glimmer of hope to qualify for the semi-finals. In the next game against East Bengal unfortunately ended in a 0–0 draw. Mumbai's inability to finish their chances cost them a win although the draw left them top of the Group. The last game against Dempo ended in a 2–0 defeat for Mumbai which knocked Mumbai out of the Federation Cup. The dismal form continued in the I-League as Mumbai lost their first three matches in a row. The losses included a 3–1 loss at Kolkata against Mohun Bagan, a 1–0 loss against Shillong Lajong and a 3–2 defeat in the Maha Derby against Pune. Mumbai took advantage of getting back at the Cooperage and went on to win two straight home games by thrashing Goan giants Salgaocar 3–0 and then on 20 February 2015 defeating the then league leaders Royal Wahingdoh 2–1. Mumbai FC went on to win their first away game when they beat I-League newcomers Bharat 2–0 which made it three wins in a row and took them to 4th place in the I-League table. The next match against Bengaluru at the Cooperage ended in a 1–1 draw as an equaliser in the second-half from the in-form Mumbai striker Josimar rescued a point for the Mumbaikars. Khalid Jamil ensured Mumbai survived relegation that season as they finished 6th in the I-League. 2015-16 saw a flurry of changes. Khalid Jamil refreshed the squad and his Yellow army briefly fought for the top places before losing track and ultimately finishing at 5th place, which is still Mumbai's highest ever finish in the I-League. Khalid Jamil was sacked on 15 June 2016, making him the longest running manager in I-League. Santosh Kashyap In July 2016, Mumbai signed former Royal Wahingdoh and Salgaocar FC coach Santosh Kashyap as their Head Coach.After making huge changes 8n both style of play and squad, Mumbai won their initial 2 games aiming for a 'top 3'.But after 12 winless games which included 6 games winless steak and a 5-0 to DSK Shivajians he was sacked. This made his reign the shortest in Mumbai's history. The Club crest consists of a shield with a yellow figurine of a footballer in front of the Gateway of India. The colors of Mumbai FC are yellow and blue, which are derived from the club crest. The home kit consists of a yellow jersey with yellow shorts and blue socks while the away kit consists of an orange jersey and white shorts and black socks. Since being promoted to the I-League in 2008, Mumbai FC has used the Cooperage Ground as its home ground. For the 2010–11 I-League season, the club played their home fixtures at the Rajarshi Shahu Stadium in Kolhapur, with the Cooperage Stadium undergoing renovation. From 2011–12 onwards till 2013–14, the club along with local rivals Air India played their home fixtures at the Balewadi Sports Complex in Pune. The club returned to its original and newly renovated Cooperage Stadium in Mumbai from the 2014–15 season. As of 4 January 2017. A club recognised fan club by the name Yellow Brigade has been in support since 2015.The Cooperage Ground has seen an average attendance of 3500. ^ a b c d e f g h i j k l m n o p q r s t u v w x y "History". Mumbai Football Club. Archived from the original on 26 October 2012. Retrieved 29 September 2012. ^ "Pune FC eye revenge in Maha-Derby". India Blooms. Archived from the original on 1 November 2014. Retrieved 29 September 2012. ^ "Player Ratings: Mohun Bagan 1–2 Mumbai FC". Goal.com. Retrieved 29 September 2012. ^ "I-League: Khalid Jamil steps down as Mumbai FC coach". 15 June 2016. ^ "Mumbai in Kolhapur". Essel Group. Retrieved 29 September 2012. ^ "Man Utd start their football school in Mumbai". News 4 Education. Archived from the original on 29 June 2017. Retrieved 29 September 2012. ^ "Mumbai FC Team". Mumbai Football Club. Retrieved 21 December 2016. ^ "The Team". Mumbai F.C. Retrieved 29 September 2012. This page was last edited on 7 April 2019, at 13:34 (UTC).